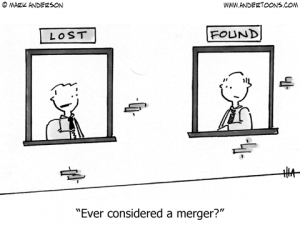 Should your organization consider a merger? America is home to around 1.4 million nonprofits. That’s probably about 700,000 too many. An analysis of giving in the U.S. since the 70’s show shows that charity accounts for about 2% of annual GDP…every year…despite the near 100% growth in the number of nonprofits in the last decade (compared to 35% growth in GDP in the last decade). More nonprofit organizations do not appear to result in proportionately more charitable giving. What does increase giving? Impact reporting to donors about the value of their gifts. Better organized volunteer, staff, and peer-to-peer fundraising efforts. Marketing, branding, and the public’s trust around the efficacy of a particular nonprofit. These are the hallmarks of more sophisticated and more seasoned nonprofits. 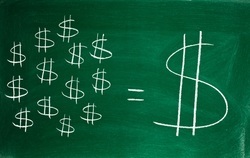 In most cases, a new nonprofit is simply seeking market share from a very similar nonprofit in their area. Sometimes, new causes require attention. Occasionally, new technology demands new nonprofits to leverage them. But, the market is saturated. This might seem blunt. It is. And, it should be. The public good impacted by nonprofits is invaluable but has been stagnant. So, what should be done? An underexplored option is to apply mergers and acquisitions so effective at generating value in the for-profit sector. The Stanford Social Innovation Review presents a powerful case for this strategy. Will, say, Brown merge with MIT? I’d say that’s pretty unlikely. Should very small dog and cat rescue operations in, say, St. Louis, merge? Yes. Do it today. Share resources and operational infrastructure. Grow volunteer bases. Address the “founder-itis” that plagues many new nonprofits. And, most importantly, better serve the core of your mission. 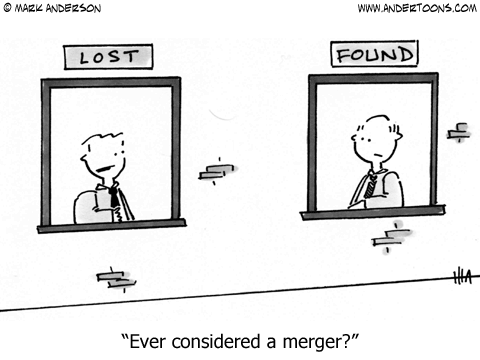 The turmoil from a merger can be difficult. Staffing overlaps and other redundancies may result in painful restructuring and job loss. But, we not running a charity here. That is, business principles apply. Your organization’s mission will be better served by being more effectively delivered to constituents and more strategically presented to donors. There surely is a place for up-start, lean-and-mean nonprofits, but donors know that they get what they pay for. As you plan for 2015, think about whether you’re having the biggest impact possible given the potential opportunity to merge with other similar organizations. It would be a big resolution, of course, but the benefits to your constituents might be worth it.